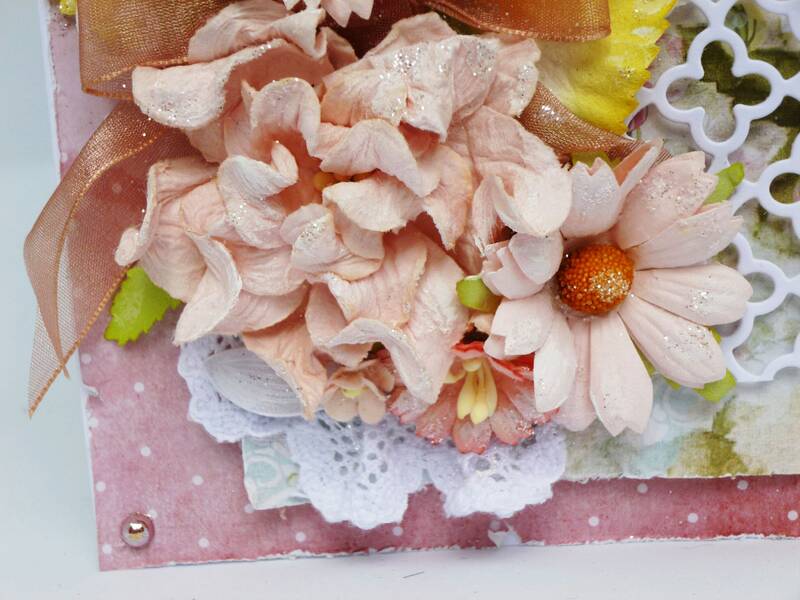 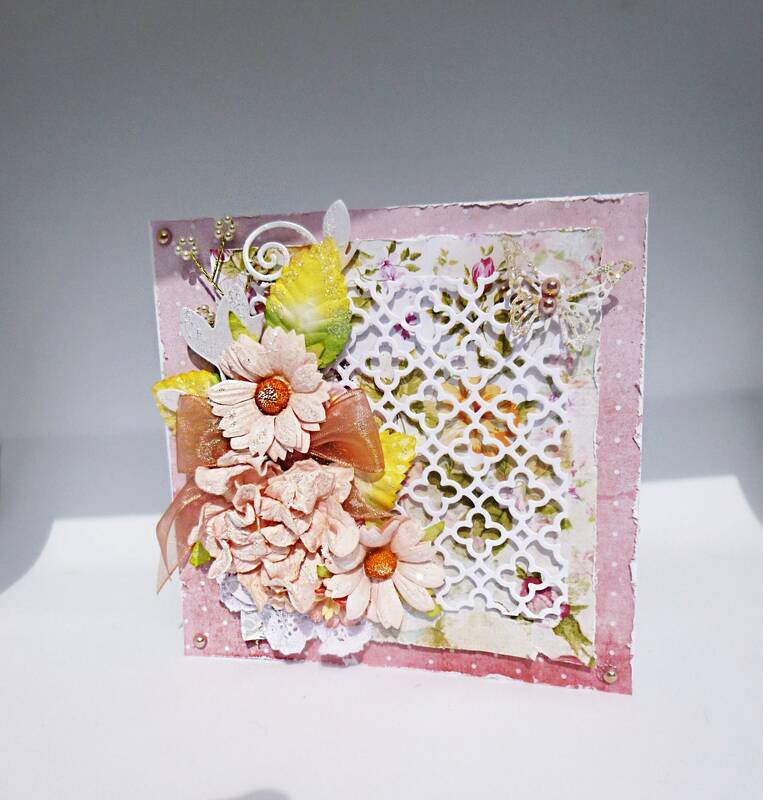 Shabby Chic style card made from white base card with pink and white spotted paper, with floral paper layered on top, white trellis with a die cut butterfly in the top right hand corner with two pink pearl embellishments, down the left hand side is a floral display of pink with a pink organza ribbon bow and white lace at the bottom of the card. 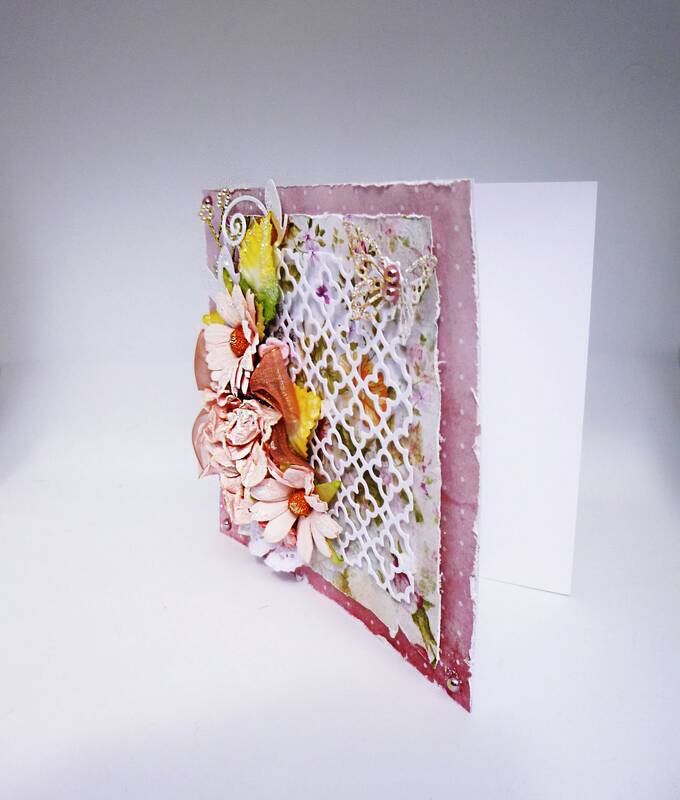 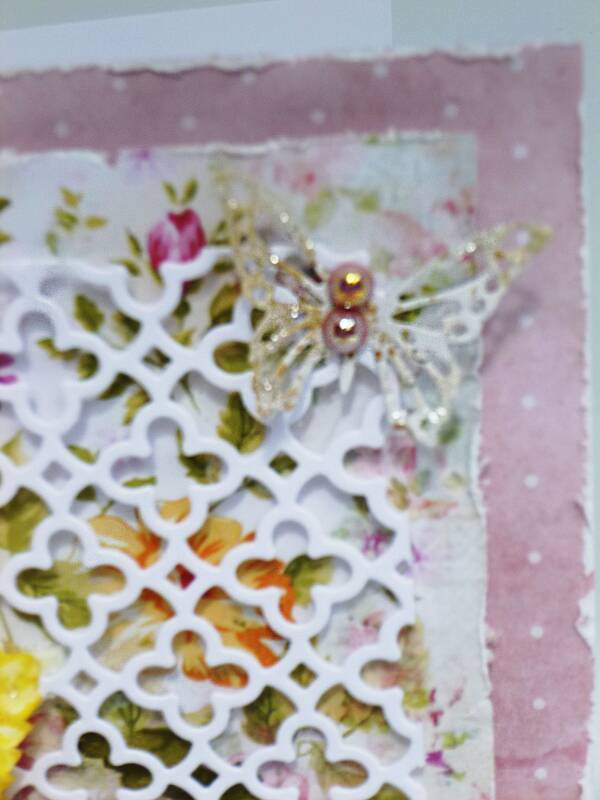 Inside the card is plain white insert paper for you to write your own private message. 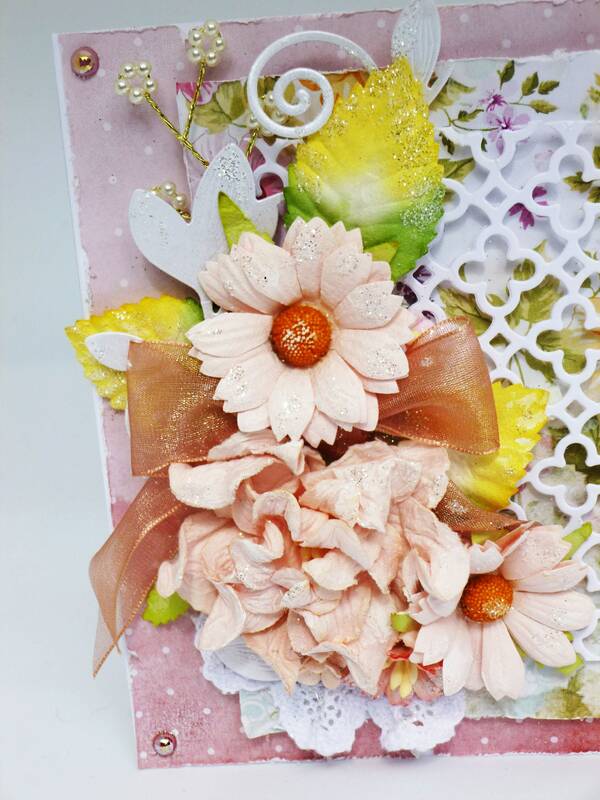 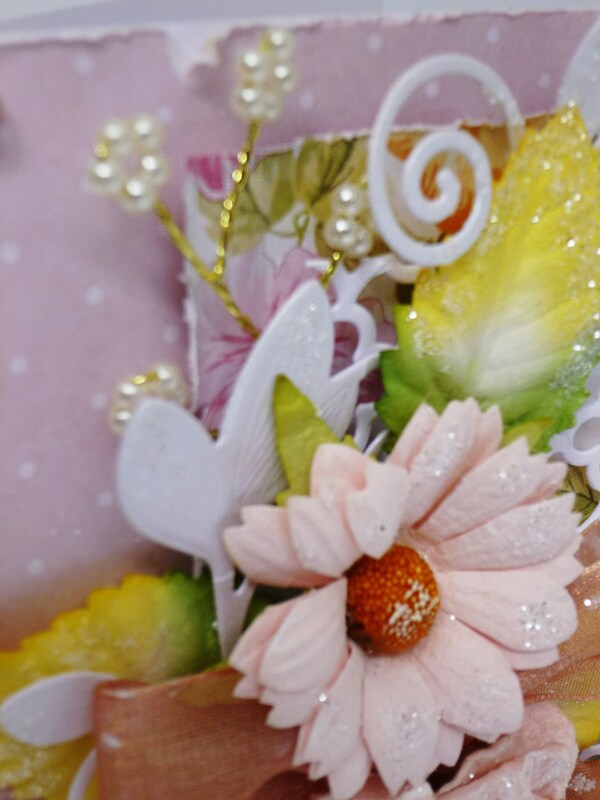 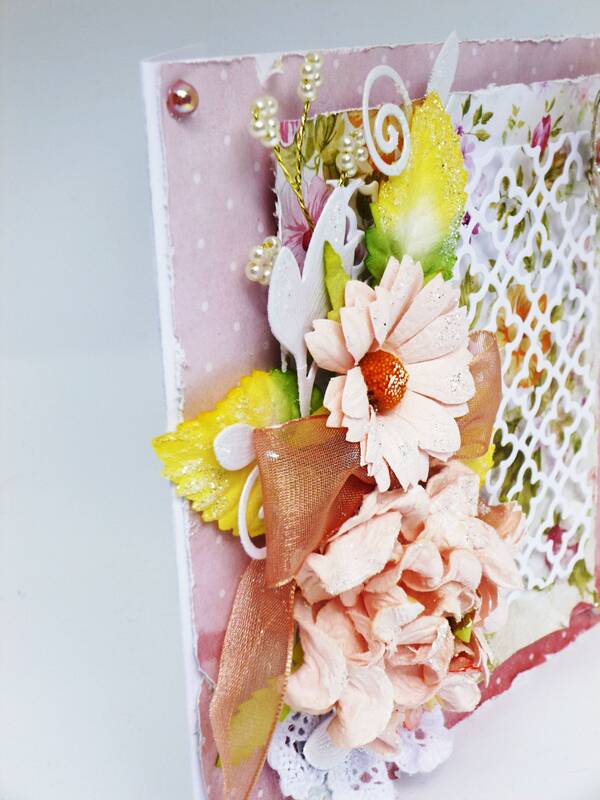 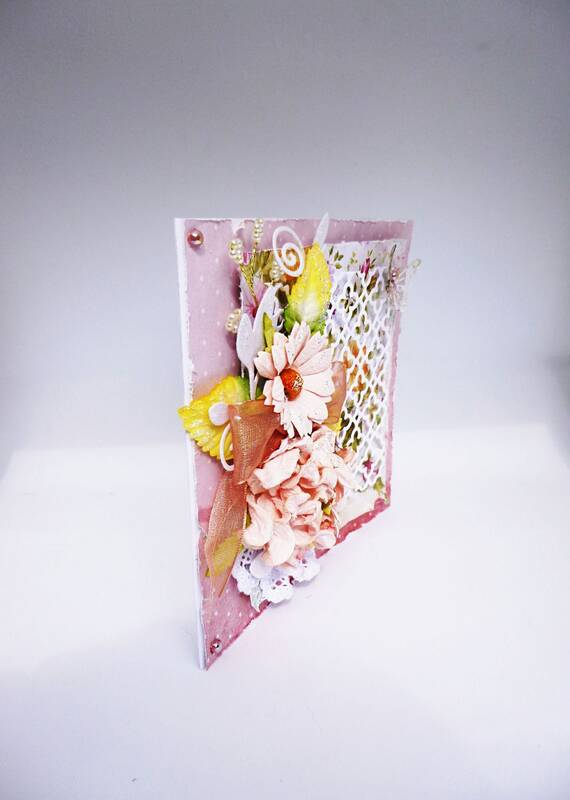 The card measures 6 inch x 6 inch, 15 cm 15 cm, includes a gift box to protect the decoration. 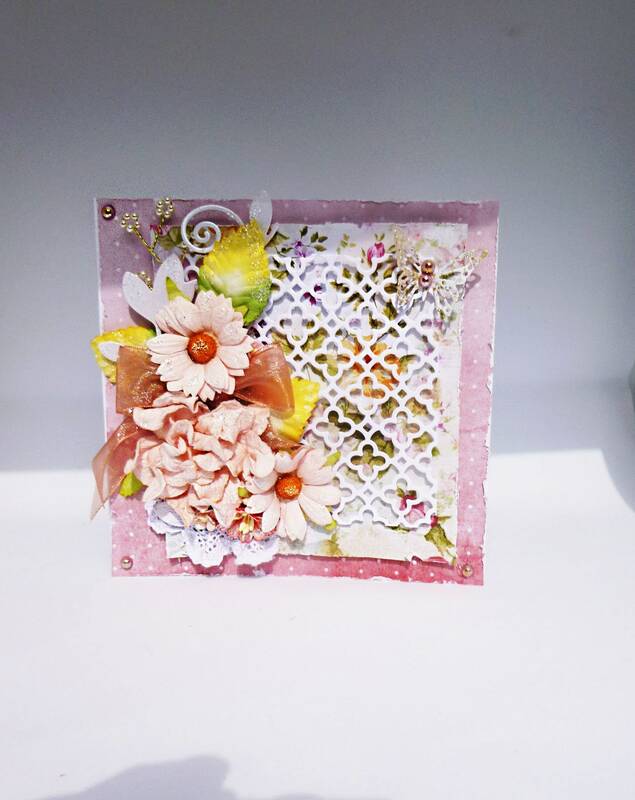 There is no sentiment on this card as it can be used for any occasion so please message me with your requirements, a sentiment can be added.